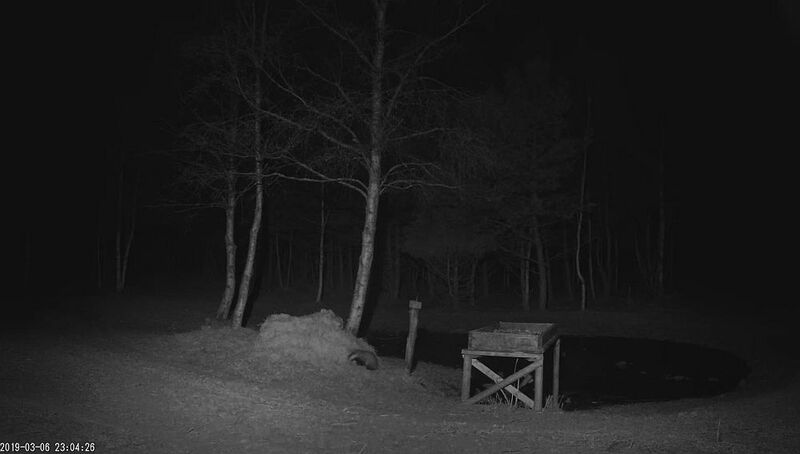 Red deers and others on Saaremaa forest camera. 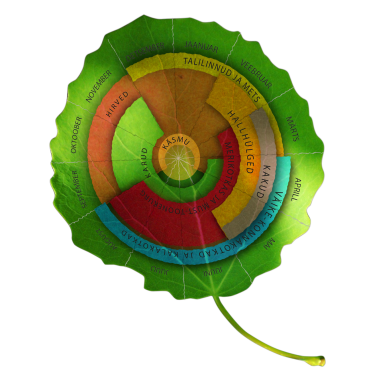 Archive until 2016 - here. The red deer camera finished its season. Our thanks to the hunting specialists of RMK who together with their colleagues cared for the menu of the deer ground visitors. Our thanks also to OÜ Teetormaja and Eenet who transmitted the camera stream and HATCAM who provided technical support. And without the numerous viewers such enterprises would not have any real sense. 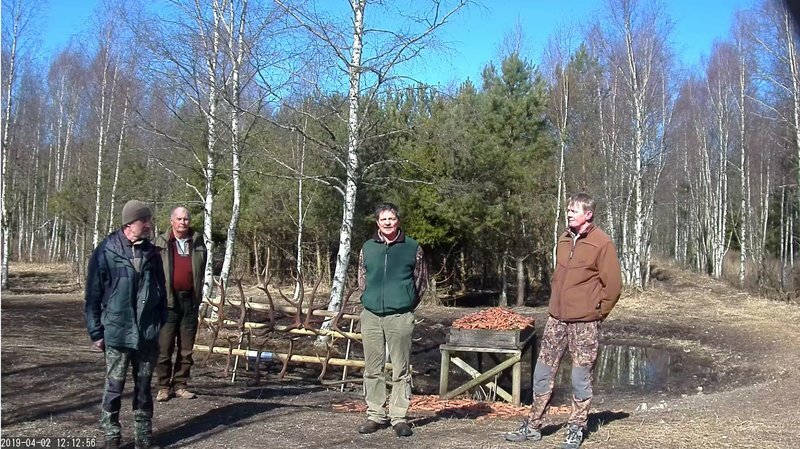 It has been interesting to read the messages and observations of the LK forum members who have been watching the events on the deer ground on a daily basis. The camera and equipment will move to the mainland to transmit the doings of beavers – the animal of the year. 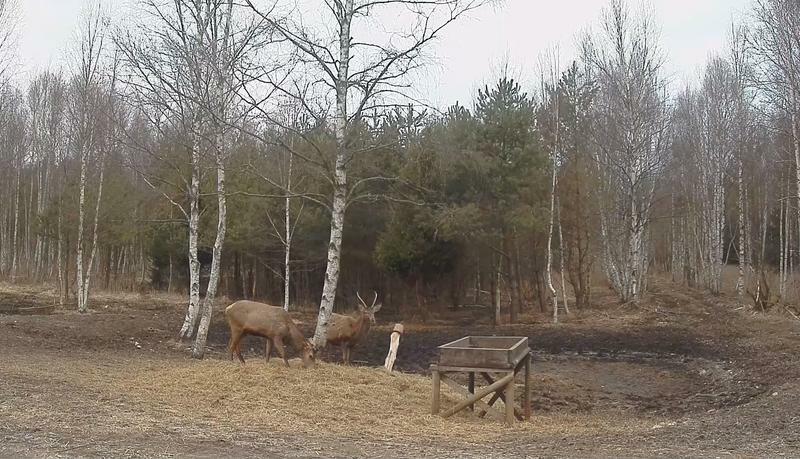 In the video records of the last few days we can see that in the second week of spring one deer bull already has six new furry antler tines while others are bare-headed and many still have their antlers firmly on their heads. The antler-shedding period of the red deer is still ahead; from previous years we know that even a powerful old stag sheds its antlers in the last week but one in February at the earliest. Let us look back in time . To the deer enclosures of Estonian manors animals were brought from Europe already in the second half of the 19th century. In the troubled times of World War I the deer enclosures disappeared. 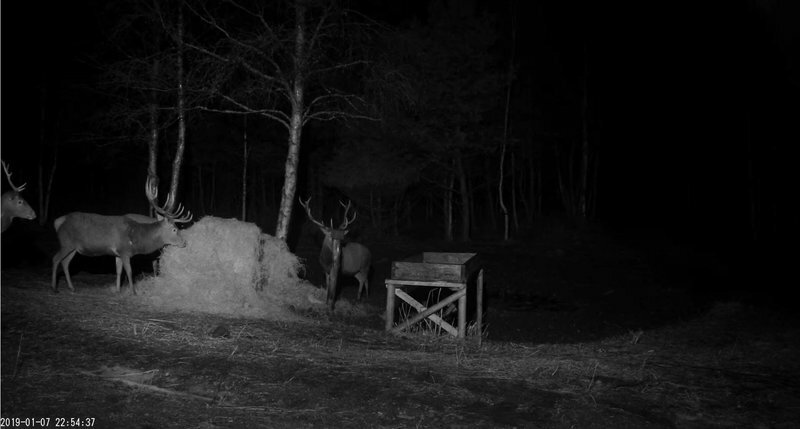 The activities of the red deer (Cervus elaphus) can once again be viewed in the webcam in Saaremaa – the sixth season from the beginning in 2014. In a few months, at the end of February, it will already be five years since we could watch the doings of the deer in real time by way of the webcam for the first time. The shedding of the antlers started in early March. As we can see young animals still have their antlers, and the old bulls grow new antlers. Tiit Hunt will surely make a final summary of the season in the near future. Our thanks to our viewers and the Looduskalender forum members, thanks to whom interesting events were recorded in images as well as words. The red deer bulls, or stags, shed their antlers in large amounts currently; a first solitary antler this year was found near the camera on February 20th. Imprints of sleeping of many deer in the adjacent copse suggest that the 20-22 headed bull herd has not been very mobile during the winter and mostly stayed near the feeding ground. While during the previous winters-springs antlers were only sporadically shed on the ground then now during the shedding period that has lasted two-three weeks exceptionally many have been shed here – up to now already antlers from at least six deer.